Bright sparkling colours great for light or dark paper. 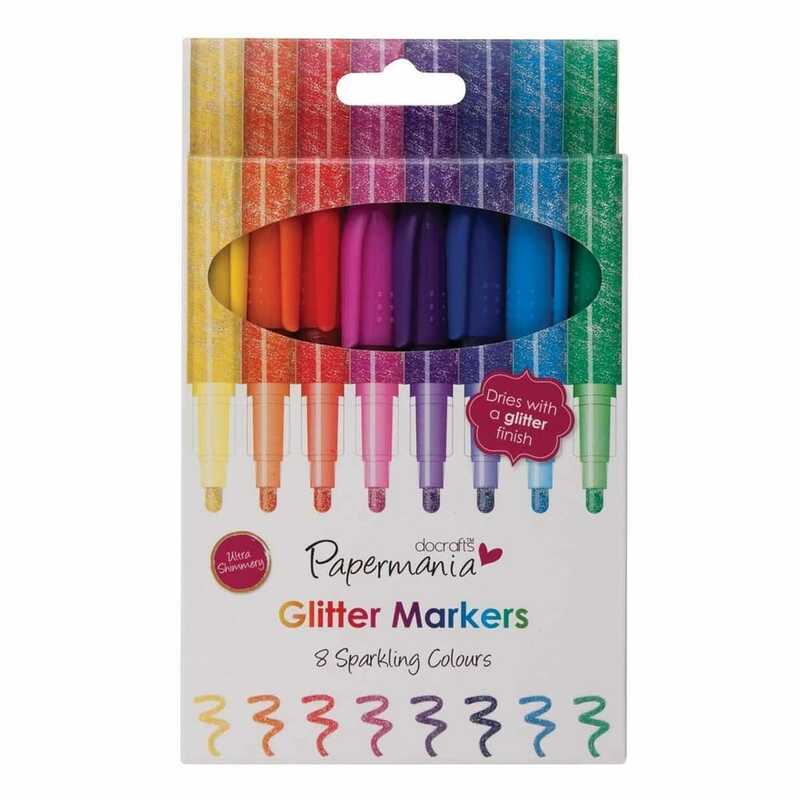 The fun glittery colours add sparkle and shine to any craft project. Acid free, fade proof and non toxic flowing ink dries fast without skips or breaks. 0.5mm nib bold line is very good for filling in areas with glittery colours and writing.